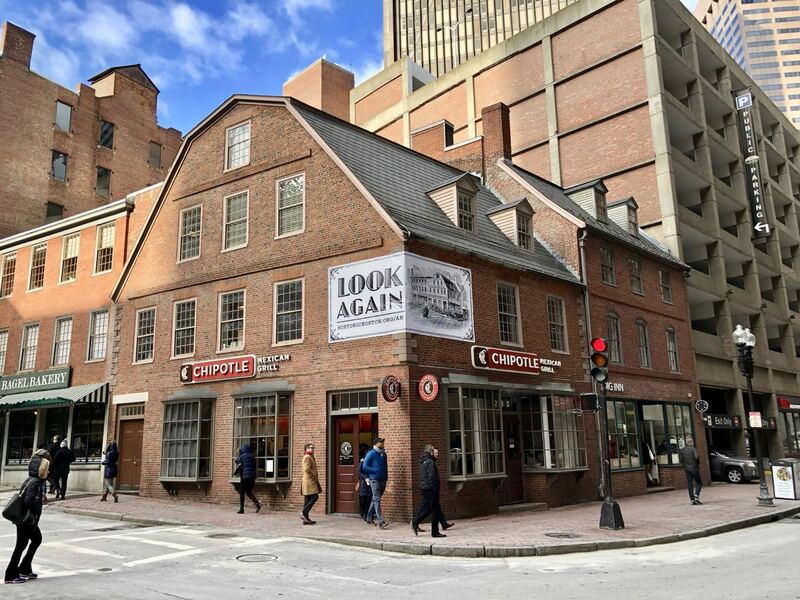 This is the oldest commercial building in Boston. Yeah, it’s a Chipotle now. But it was almost demolished in the 60s to make room for a parking garage. So, it could be worse. You could argue that American literature was born at this Chipotle. Well, it wasn’t a Chipotle then. It was Ticknor and Fields, a 19th century publishing house. They had the dream team. Ralph Waldo Emerson. Harriet Beecher Stowe. Nathaniel Hawthorne. Thoreau and Twain coming off the bench. Along with the publishing offices, there was a corner bookstore in the building. It became a popular meeting spot for many of the major authors of the time. It was still a bookstore when I was a college student in the 90s. I didn’t know the history at the time. It was just the old-timey building with all of the cool travel books and maps. Now, it’s a study in compromise. That sweet Chipotle money allows the building to be preserved on a very valuable piece of real estate. There’s even a little extra left over to throw at other preservation efforts around the city. And the non-profit that owns the building even commissioned an augmented reality app to help people pretend that it’s not a Chipotle.